hücrelerin kemik iliği dışında çoğalması olarak tanımlanmaktadır. 1. Yamamoto K, Miwa Y, Abe-Suzuki S, et al. Extramedullary hematopoiesis: Elucidating the function of the hematopoietic stem cell niche (Review). Mol Med Rep 2016;13:587-91. doi: 10.3892/mmr.2015.4621. 2. Solazzo A, D’Auria V, Moccia LG, Vatrella A, Bocchino M, Rea G. Posterior mediastinal extramedullary hematopoiesis secondary to hypoxia. Transl Med UniSa 2016;14:1-4. 3. Koch M, Kurian EM. Pleural fluid extramedullary hematopoiesis case report with review of the literature. Diagn Cytopathol 2016;44:41-4. doi: 10.1002/dc.23390. 4. Mahadevan NR, Morgan EA, Mitchell RN. Case report and literature review: cardiac tamponade as a complication of pericardial extramedullary hematopoiesis. Cardiovasc Pathol 2016;25:371-4. doi: 10.1016/j.carpath.2016.05.007. 5. Sekar S, Burad D, Abraham A, Paul MJ. Adrenal incidentaloma caused by extramedullary haematopoiesis: conservative management is optimal. BMJ Case Rep 2015;2015. doi: 10.1136/bcr-2015-211014. 6. Humphrey PA, Vollmer RT. Extramedullary hematopoiesis in the prostate. Am J Surg Pathol 1991;15:486-90. 8. Ohta Y, Shichinohe H, Nagashima K. Spinal cord compression due to extramedullary hematopoiesis associated with polycythemia vera—case report. Neurol Med Chir 2002;42:40-3. 9. Pornsuriyasak P, Suwatanapongched T, Wangsuppasawad N, Ngodngamthaweesuk M, Angchaisuksiri P. Massive hemothorax in a beta-thalassemic patient due to spontaneous rupture of extramedullary hematopoietic masses: diagnosis and successful treatment. Respir Care 2006;51:272-6. 10. 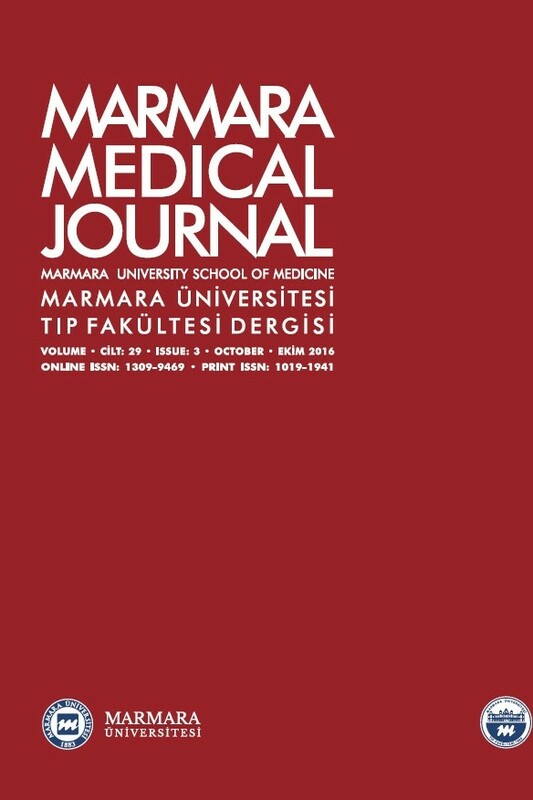 Tsitouridis J, Stamos S, Hassapopoulou E, Tsitouridis K, Nikolopoulos P. Extramedullary paraspinal hematopoiesis in thalassemia: CT and MRI evaluation. Eur J Radiol 1999;30:33-8. 11. Bowling MR, Cauthen CG, Perry CD, et al. Pulmonary extramedullary hematopoiesis. J Thorac Imaging 2008;23:138-41. doi: 10.1097/RTI.0b013e31815b89aa. 12. Orphanidou-Vlachou E, Tziakouri-Shiakalli C, Georgiades CS. Extramedullary hemopoiesis. Semin Ultrasound, CT, MR 2014;35:255-62. 13. Nakayama F, Nishihara S, Iwasaki H, et al. CD15 expression in mature granulocytes is determined by alpha 1,3-fucosyltransferase IX, but in promyelocytes and monocytes by alpha 1,3-fucosyltransferase IV. J Biol Chem 2001;276:16100-6. 14. Sheibani K, Battifora H, Burke JS, Rappaport H. Leu-M1 antigen in human neoplasms. An immunohistologic study of 400 cases. Am J Surg Pathol 1986;10:227-36. 15. Swerdlow SH, Wright SA. The spectrum of Leu-M1 staining in lymphoid and hematopoietic proliferations. Am J Clin Pathol 1986 ;85:283-8. 16. Pinkus GS, Said JW. Leu-M1 immunoreactivity in nonhematopoietic neoplasms and myeloproliferative disorders. An immunoperoxidase study of paraffin sections. Am J Clin Pathol 1986;85:278-82. 17. Hall PA, D’Ardenne AJ. Value of CD15 immunostaining in diagnosing Hodgkin’s disease: a review of published literature. JClin Pathol 1987 ;40:1298-304.